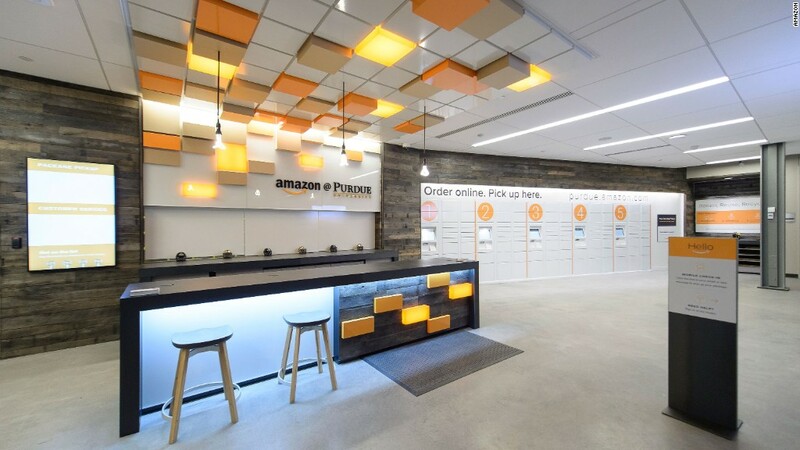 Amazon wants to make ordering its products as easy as a click of a button -- literally. On Tuesday, the country's largest e-commerce company announced its new product, Dash. It's a small Wi-Fi enabled button that lets users add products to their Amazon (AMZN) shopping cart with one click. 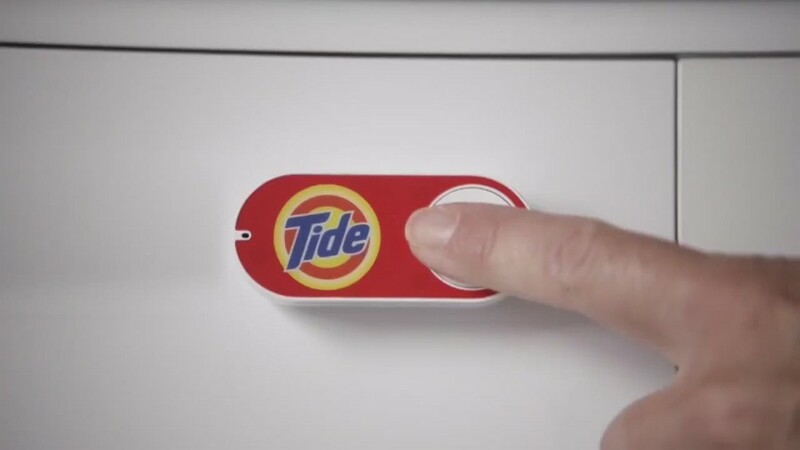 Each product has its own designated button, which can be stuck or hung on appliances, cabinets, and anywhere you might want a physical reminder to buy every day necessities. Users receive an alert on their phones once an item is added, so they can change or cancel orders before they're placed. Amazon Prime members can request an invitation to receive the free device starting Tuesday. It's unclear when the product will start shipping or how much it will cost for non-Prime subscribers. Among the products you can order through Dash are Bounty paper towels and napkins, Clorox disinfecting wipes, Izze sparkling juice, Cottonelle toilet paper, Olay and L'oreal products, Wellness brand pet food, Huggies diapers, Tide Pods laundry detergent, Larabars, Kraft mac and cheese, Glad ForceFlex trash bags, Gerber baby products, Gatorade, and coffee pods. This smart sticky note is Amazon's latest push into the world of connected devices, and the IoT (Internet of Things). Earlier this year the company introduced Echo, another connected device that allows people to buy products from its site without having to open a computer or smartphone. The voice-activated cylindrical remote control can also retrieve search results from the web and play music, among other functions, like a virtual home assistant.